(CBS/AP) PHILADELPHIA - Prosecutors may begin to offer more insight Monday into a case involving accusations of Social Security fraud and the kidnapping of mentally disabled adults. Linda Ann Weston, 51, her boyfriend Gregory Thomas, 47, and Eddie "the Reverend Ed" Wright, 50, allegedly held four mentally disabled adults captive in a filthy basement as part of a benefits fraud scheme. The suspects are set to make their first court appearances in Philadelphia on Monday on charges of kidnapping, assault, false imprisonment and other counts. Wright's attorney, Louis D'Onofrio, told The Associated Press on Sunday that his client would plead not guilty at the hearing. A landlord discovered the victims in the dank boiler room of his Philadelphia apartment building Oct. 15. Police said the disabled adults, who have the mental capacity of 10-year-olds, were malnourished. One of the adults was chained to a boiler. 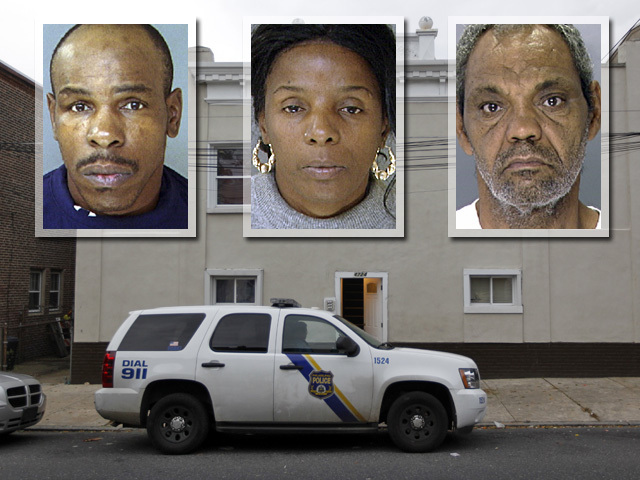 Weston, Thomas and Wright had recently moved into the building in the city's Tacony section with Weston's daughter Jean McIntosh, police said. Authorities characterized Weston as the ringleader in a plot to lock people up and cash their Social Security checks. Investigators are working to discover the extent of the scheme after finding more than 50 Social Security cards, power of attorney documents and other such forms in McIntosh's apartment. McIntosh, 32, also faces charges including kidnapping, assault and false imprisonment.